Katie Taylor totally outclassed Eva Wahlstrom through ten rounds to successfully defend her lightweight world titles at Madison Square Garden. 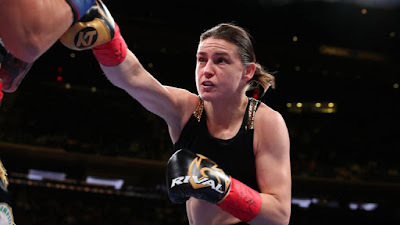 Fighting for the fourth time this year, Taylor once again showcased blistering speed and combinations, taking a shutout unanimous decision via three scores of 100-90. Having retained her WBA and IBF lightweight belts, the 32-year old (12-0) now wants to add to her collection in 2019. Speaking to Reporters afterwards, she said: "I thought it was a great performance, she [Wahlstrom] came here to win so I knew it would be a great fight. Stoppages are hard to get against quality opponents, I'm very happy. 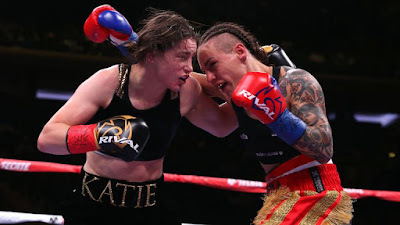 "I want all four of them next year," Taylor said of Rose Volante [WBO champion], Delfine Persoon [WBC], Amanda Serrano and Cecilia Braekhus. 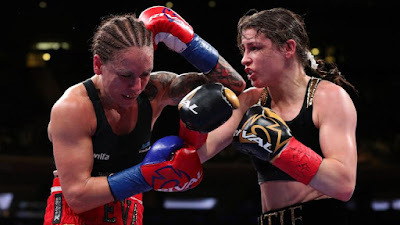 Wahlstrom, the current WBC super-featherweight world champion, came into the contest with an unbeaten 23-fight record but was quickly overawed by the skills of Taylor - 'The Bray Bomber' swinging in three left hooks behind the guard in a one-sided opener. Bouncing on her toes and expertly judging the distance, Taylor jumped in with some neat salvos in the next before adding some ripping body shots to her artillery in the third. Having found little success when countering from the back-foot, the Finnish challenger changed up her tactics in the fifth - marching out to fight fire with fire, but quickly had to eat a thudding right hand. Taylor menacingly met her foe head on, landing at will with both the left and right before a pummelling attack to the body received roars from the fervent Irish contingent in The Garden.